The bundle was shared last night, and is said to come with an exclusive Royale Bomber Skin and 500 V-Bucks, which can be spent in both the Battle Royale PvP mode and the Save the World PvE campaign. 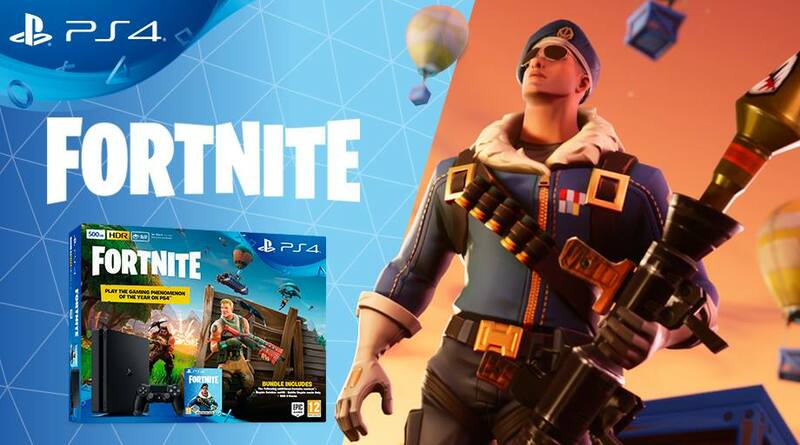 The Fortnite PlayStation 4 bundle is apparently slated for a release in Italy next month on July 16th, and since Fortnite is free-to-play, is expected to retail for the same price as the regular PS4. Whether and when the bundle releases outside of Italy is unknown at this point. Fortnite is available globally now for PlayStation 4, Xbox One, PC, Nintendo Switch, and iOS. The game supports crossplay between various platforms, including Xbox One and Switch, but crossplay between Xbox One and Sony’s PS4 still isn’t supported. The same applies to crossplay between the Switch and PlayStation 4. Earlier this week, both Microsoft and Nintendo commented on the lack of crossplay between their platform and Sony’s console.